I have a confession to make. Without pretending to be a food expert, I am hard to please on the palate. I have splurged on too many fine-dining degustation meals and made too many one way arduous trips just for a meal to have seen it all, so it takes more than the average “show” to impress me on the table. I am demanding, snobbish even, and I have seen my fair share of innovative ideas that just flop in execution or that simply look beautiful but taste awfully. And don’t get me started on fine-dining places that bill themselves as imaginative and refreshing and then serve you the good old duck a l’orange. I booked at Aria, admittedly, against my will. It is not that I did not want to go, I voluntarily suggested the option to a friend, but I thought it was going to be just another expensive meal with little imagination and much of the same ingredients and good service so I resisted spending the money and the time thinking that any Aussie restaurant would probably do a better job with fresh ingredients and simple, well cooked food. The staff and the chef proved that I was a down right arrogant and ignorant, for the performance they put up was there with the best meals I have ever had. This two Hatted restaurant surely knew how to sweep me off my feet. 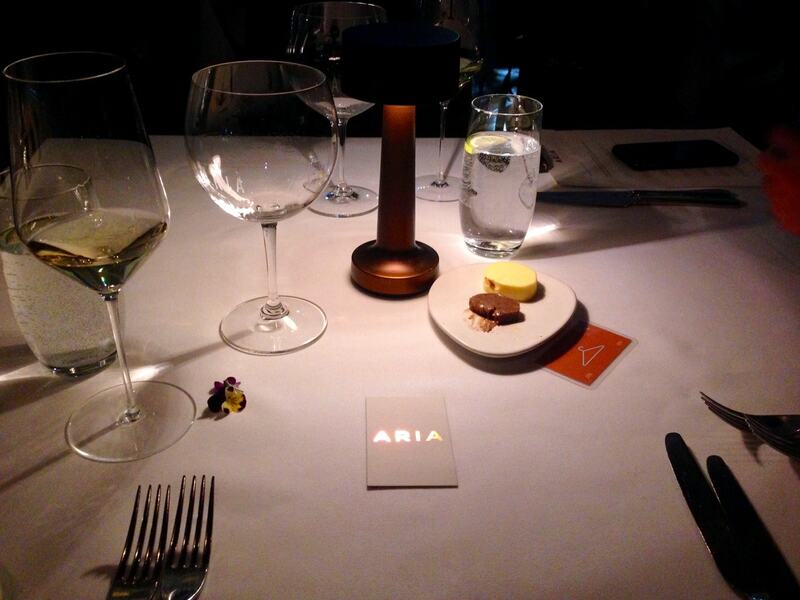 Very few fine-dining and awarded restaurants spend as much time or effort in getting a stellar location as Aria did. For the best restaurants, guests are prepared to travel far and beyond to enjoy a coveted meal. 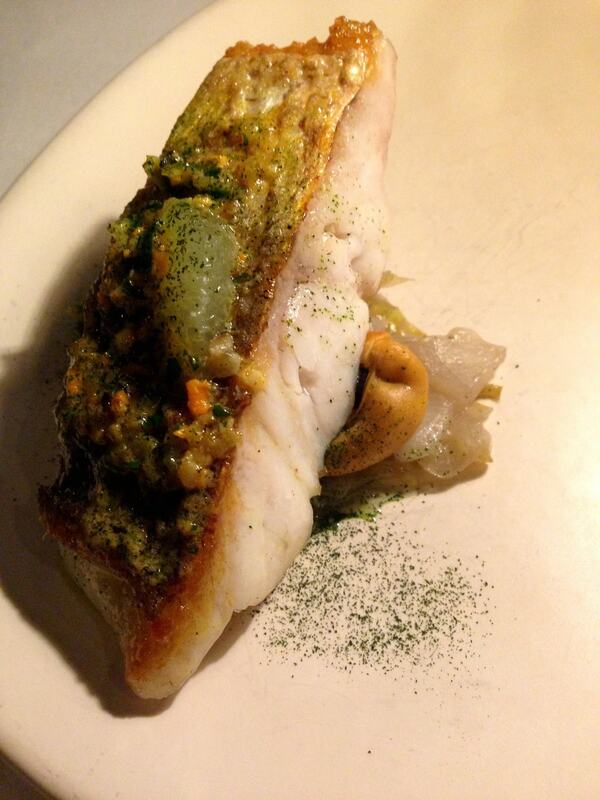 Take Noma, in the outskirts of Copenhagen, in an industrial area, or El Celler de Can Roca, 150km from Barcelona. Even the 10-year recipient of Best Restaurant in the World, el Bulli, was far from any urban center, also about 100km from Barcelona. The location does a lot to create that first impressions and the warmth of a place, they put you in the right frame of mind, but it is never what steals the show. The food and service should play this role. At Aria, the location was simply breathtaking. Again, my ignorance was obvious when we got into the taxi and I had to Google its address. Little did I know that the restaurant was located in one of the primmest real estate locations in Sydney, with views over the Harbor Bridge and the Opera House. 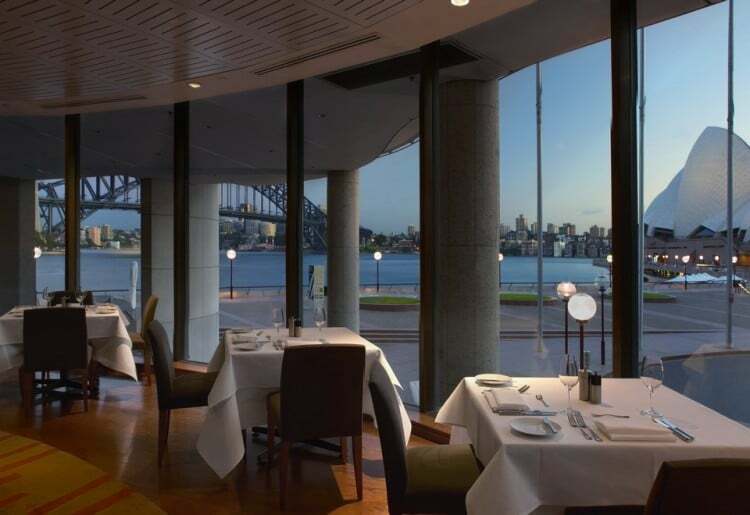 As you taste your sommelier-recommended wine or savor the chef’s many surprising dishes you can set your eyes on Sydney’s most iconic landmarks, at either side of your table. Simply stunning. The view was so perfect that, at times, I wondered if we were staring at a screensaver. With such a view and floor to ceiling glass walls the décor is made of the blinkering skyline of the city. I cannot even remember one bit of the rest of the room. Nothing at all. The tables had the usual white linen and a small lamp giving just enough light to appreciate the dishes but with the perfect amount of warmth to provide privacy and intimacy. No wonder most of the guests were couples. It is indeed the most romantic restaurant in town. The chef is known for using unusual ingredients in his cooking. Some of the herbs that we ate I had never seen before on a plate and the vegetables were so unique at times came from my flower garden back home. Who would have known that so many of the plants and flowers in our gardens can be a crunchy and delicious accompaniment to fine dining dishes? Coming to Aria and not sampling their degustation menu would be a pity. At AUD175 per person it seemed like a steal. 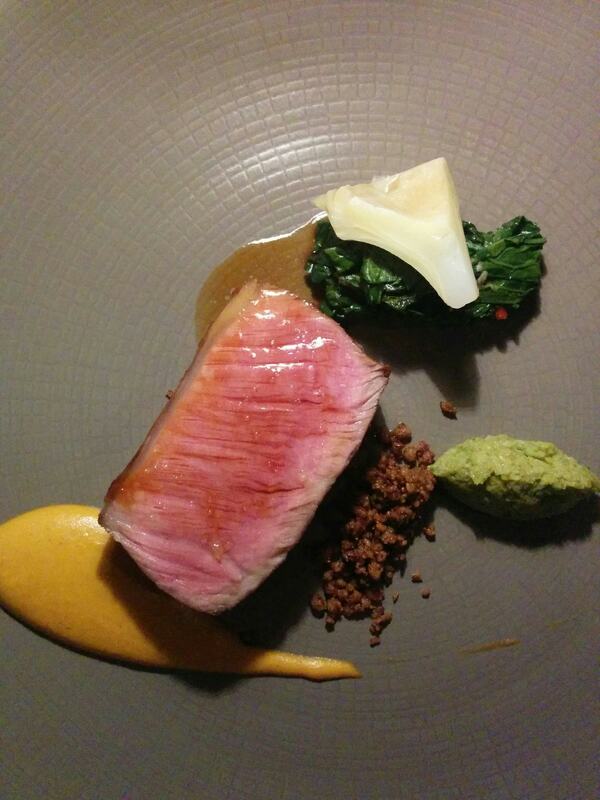 In Singapore, for S$200 I get a lousy meal at an average restaurant. 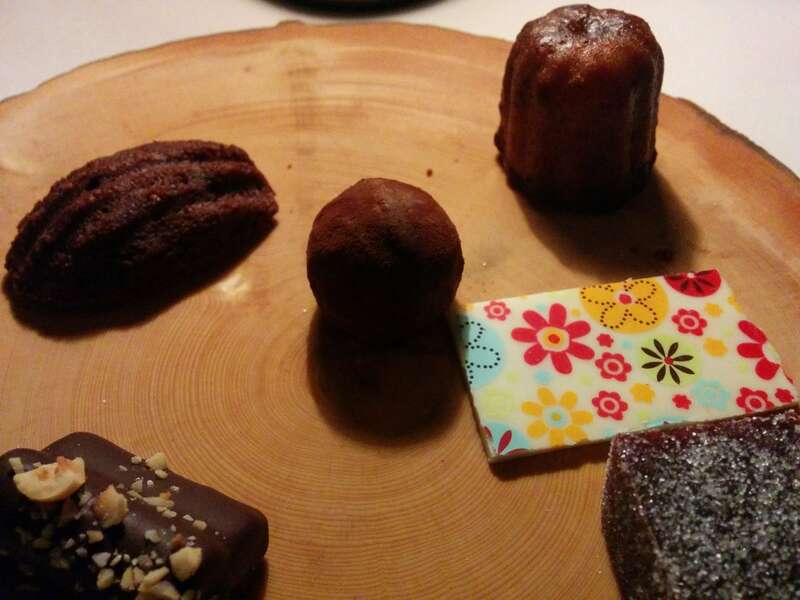 The menu included six dishes and dessert and we opted for sharing one serving of wine-pairing. Often times I go for the entire wine-pairing only to end the night absolutely inebriated and not being able to enjoy the last few dishes. At the usual 90ml per glass a tasting menu would mean almost an entire bottle of wine to myself and that is, no doubt, too much. Sharing the half amount of wine was just perfect. The wine pairing were interesting, innovative and a match made in haven. We tasted Rieslings from NY, a sake from Japan, a Spanish Rioja and a late harvest French dessert wine alongside three other Australian wines. Contrary to my expectations, the Sommelier had chosen wines from outside the country and I must say that each and every single one of the pairing improved the dish. We started with a Shelled Pacific Oyster with ice plant and persimmon accompanied with a dry 2013 Hermann Wiemer Riesling from the state of New York, in the US. I have to admit that I am not an oyster person and only in very rare occasions do I chose to eat them as opposed to ask for a replacement. 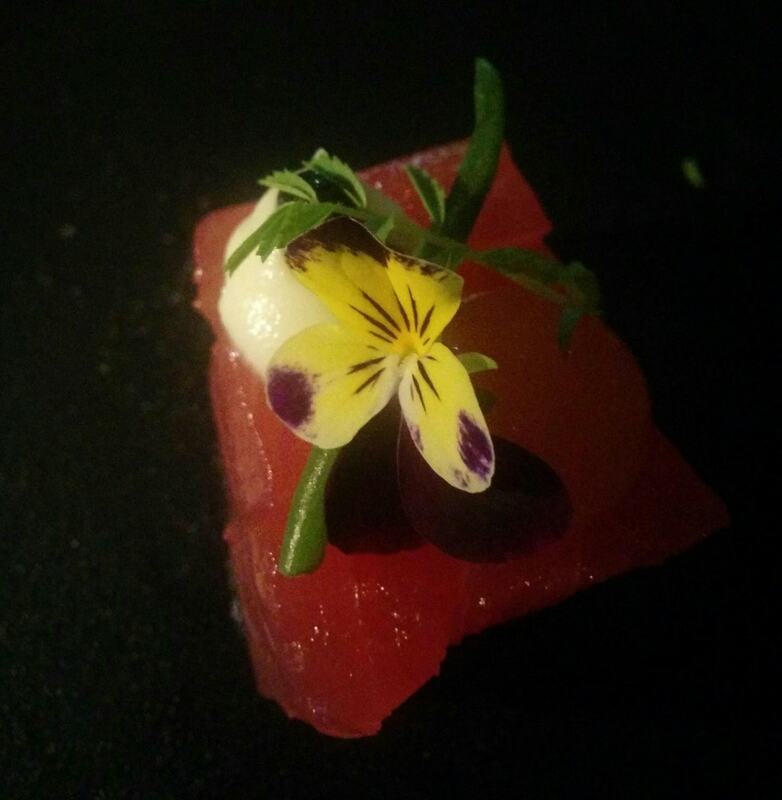 At Aria I thought I would give Chef Matt a chance to impress me with a dish that disgusts me. I will not say that he succeeded but I will admit that the oyster was so fresh the pungent smell of the sea that always puts me off was clean and refreshing instead so it was palatable to someone who dislikes this premium bite size dish. Sashimi of yellowfin tuna with white soy, fennel cream and Oscietra caviar delighted us. The tuna was possibly one of the most beautiful pieces of the red fish that I have ever tasted. Without being cooked, the tenderness of the meat and the soft saltiness of the soy sauce were exquisite. I was absolutely impressed with this dish. So simple, yet so delicately prepared. The only word that I could think of was perfection. As the finest tuna is usually a staple of Japanese cuisine the dish was paired with a 2010 Kammeman Shuzo Genmaishu sake that had a very light flavor. 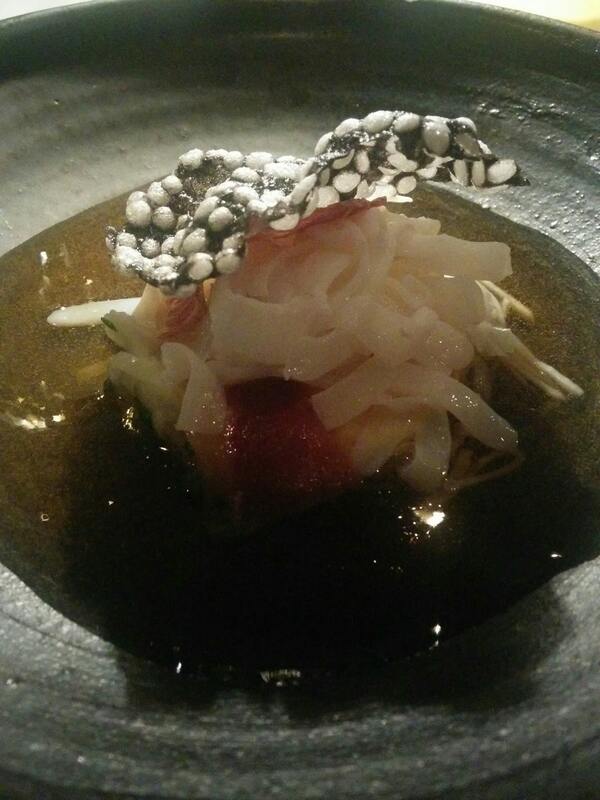 The next dish featured Southern calamari with Iberico jamon, dashi custard and shitake mushroom tea. As a Spaniard, I rarely order jamon when abroad. I find it a total rip-off. In Spain I can find great jamon for a very decent price and everywhere else the premiums are just ridiculous. Aria had chosen a beautiful piece of ham, slightly thicker so you could actually bite on it, and it was complemented with a soft custard that offset a bit of its saltiness. The shitake tea was subtle and I would have liked a bit more of it. The calamari were so thinly sliced that felt like noodles. It was a great dish, if possibly the least innovative, custard with mushrooms and ham is a known combination that just works. The wine pairing was a surprising Barossa white wine, a 2013 Torbreck The Steady Blanc. The first of the main dishes was a Pink snapper with mussels, witlof and lime paired with a 2007 Mount Pleasant Lovedale Semillon from the Hunter Valley that fully showed the character of the region. 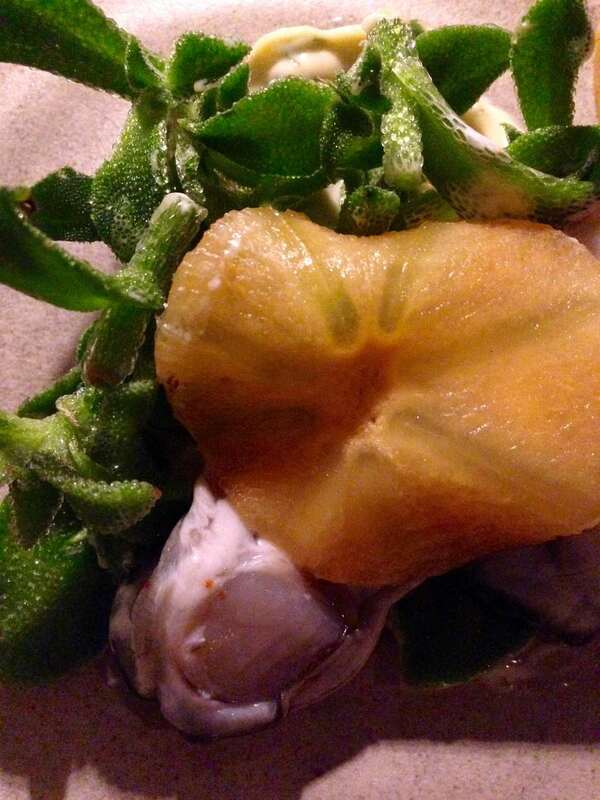 The fish was delicious and the lime jelly added the right amount of citrus flavor. I don’t usually eat the skin of the fish, it is a pet peeve of mine, but in this case, I devoured it all, that is how good it was. I even ate the mussel although, like with oysters, I dislike its marine taste the slimy texture. The first meaty dish was a Caramelised cipollini onions with truffle and parsley. Although it did not have any meat in it the rich yet light caramelized sauce gave it an earthy taste. I found this to be one of the better accomplished dishes of the evening and it left me feeling like I wanted more. The wine was a powerful but young 2010 Provenance Nebbiolo from Geelong Victoria and the high tannin wine was a pleasant match to the rich creamy food. I thought this was a truly excellent dish that gladly replaced a meat recipe. The meal continued with a glorious Lamb loin with globe artichoke barigoule, green olive and harissa that paid homage to a slight touch of North African cuisine. The Vina Muriela 2008 Rioja wine played wingman to this fabulous piece of meat. The dish was balanced, beautiful on the plate and on the palate and the mix of spices gave it an exotic touch. The lamb was juicy, with streams of delicious blood pouring at every slice. As it may appear obvious, I enjoyed the culmination of the meal to the last bit. I am usually a lover of bread. I think that restaurants often fall into two categories: those who bake their own bread and put as much passion into this humble staple as in the rest of the meal and those who chose a plain option baked by an expert bakery. And because you usually wait for a while for your first dish, you have enough time to savor the bread and butter. If the bread is too good, the risk is that I end up feeling stuffed, as I can’t say no to recurrent offers to top-up. At Aria I enjoyed the bread and the lovely butters, but the staff did not insist in refilling my plate, and the food was excellent enough to make me forget about it. The meal ended with a Milk curd panacotta with piel de sapo melon, grapes and mint sorbet which was paired with a 2013 Loire Valley Domaine de la Bergerie Coteaux du Layon late harvest wine. I crave desserts and great meals can never be finished until I have enjoyed a sweet ending. If this ending includes ice cream or chocolate, or both, then I am in Food Haven. In this case it did not have any chocolate but, surprisingly, I thought it to be just the right ending to such a feast to the senses. 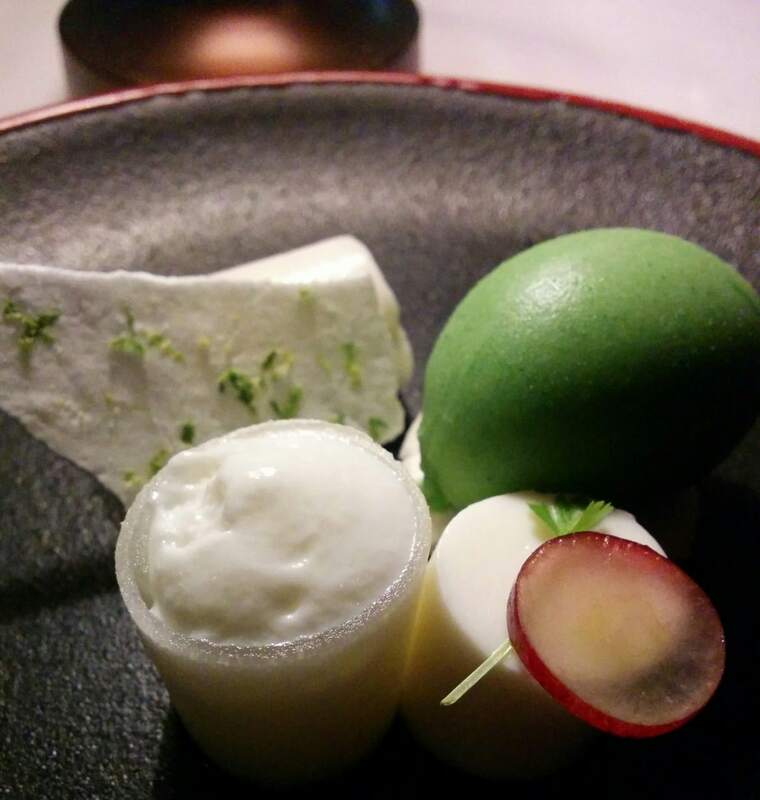 The sorbet was light and fluffy and the panacotta sat sweet but airy. Since both me and my friend really enjoyed the wine and complemented the Sommelier on his recommendations, we were greeted with a complimentary glass which we greatly enjoyed with the petit furs. Nowadays it is extremely difficult to find restaurant staff that has a vocation for working at the front of house. The hours are long, the job is taxing on any personal life and guests can be demanding. It is, therefore, extremely hard to find attentive and genuine waiters and Sommeliers. Aria had both. The service was impeccable, experienced and anticipating. 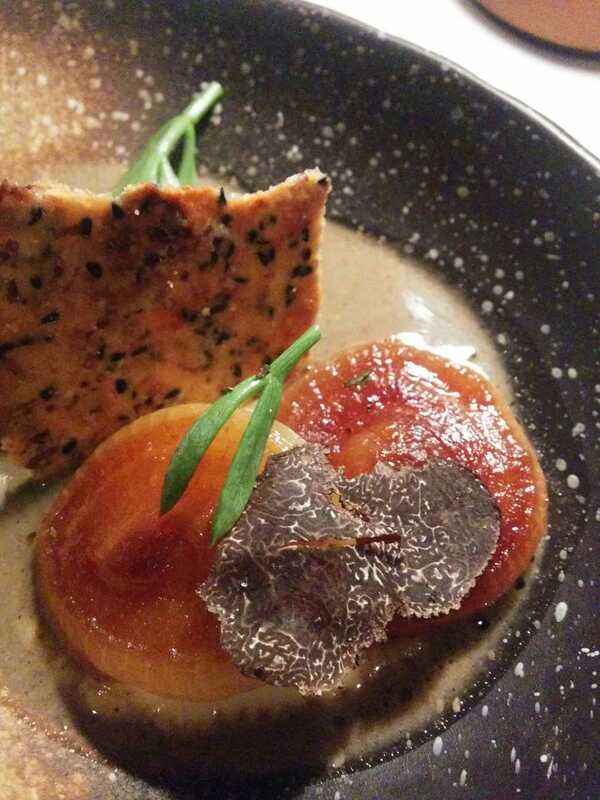 it was swift without being rushed and the degustation happened at the right pace to enjoy each dish without wondering where the next one was. Aria stole my heart. The location was divine, the food unique and inspiring and the service welcoming. It will have to become one of my regular visits whenever I travel to Sydney.